Modern hand hooked geometric rugs are back! 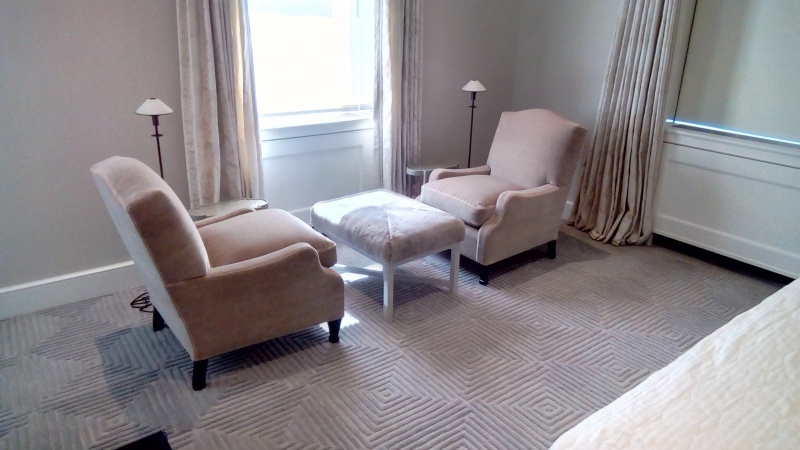 This rug was custom made for a bedroom located in a permanent resident in a New York City Hotel. The Ruggery has traditionally made area rugs that are custom made and sized to fit the room or location. 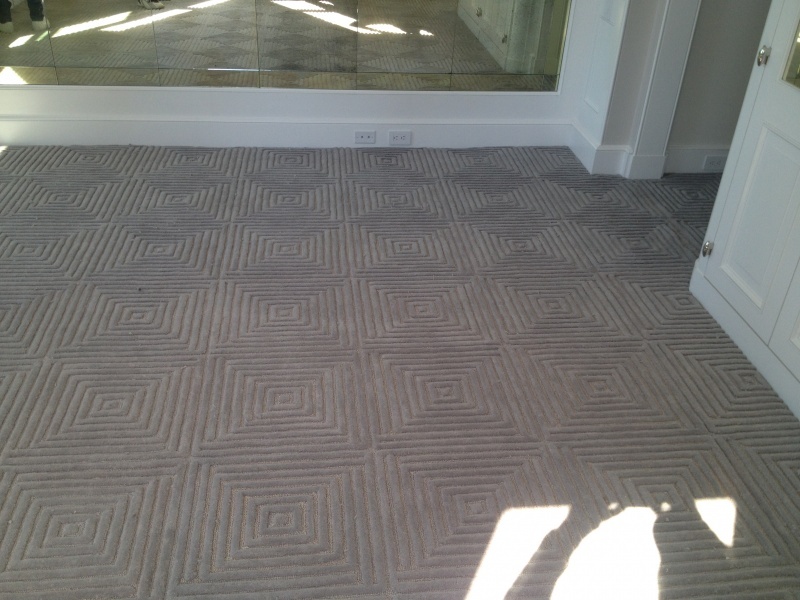 The main room was made in one large piece giving it a seamless look, this is one of the advantages of a custom made rug. 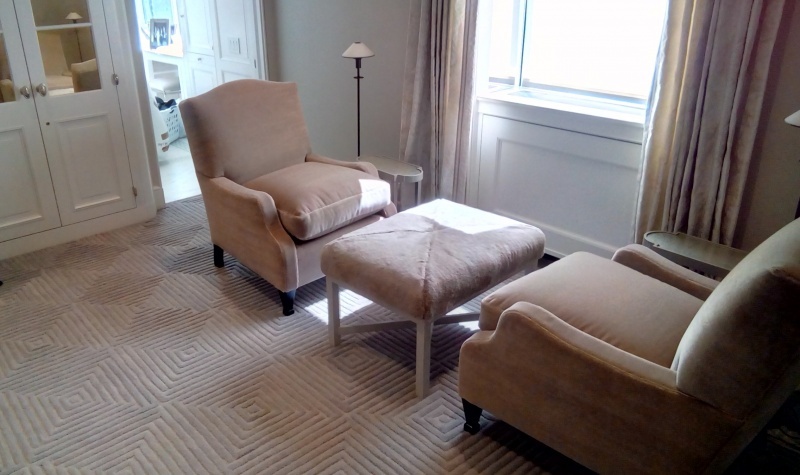 Another benefit of our custom rugs is exact color matching, we were given sample fabrics for the room and dyed the wool accordingly. The color of each project we make is specifically dying to coordinate with the fabric and color in the room. This gives the room the high end custom look that our clients expect from us. The monotone aspect of the rug is a very tricky dying process. I have explained this in a previous blog. The pattern on this rug is made up of eighteen inch squares inside of squares. The results are a spectacular optical illusion forming a diamond pattern depending on the angle of which it is viewed. It was very interesting seeing this come to life in the shearing and finishing process.